Tell us about your journey as a flow artist. 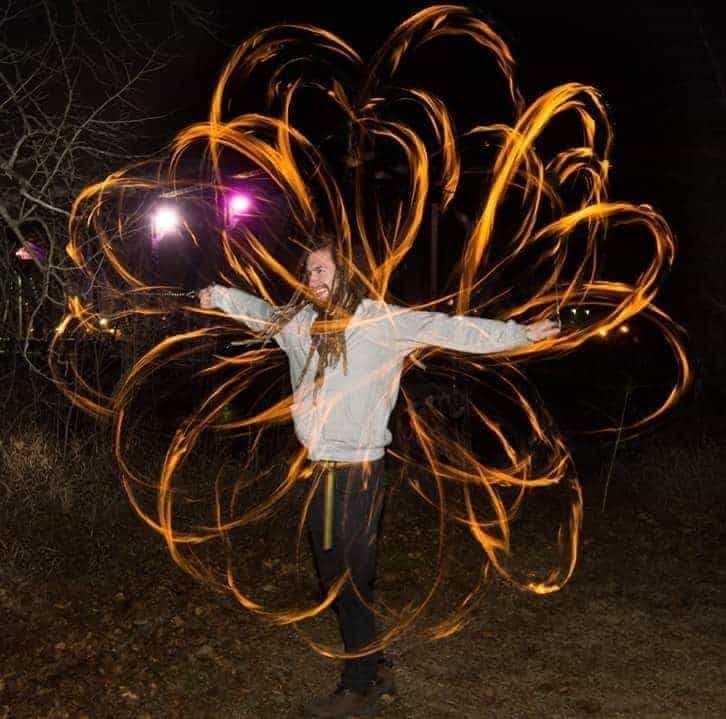 I am a mostly self taught, multi discipline prop manipulation artist, I have been juggling on and off for 15 years, and spinning poi for 8 steady! I have received 3 different sponsorships and have been a part of a lot of beautiful events! A few years ago, I started a prop group using free spaces and helped people find flow, and some to develop flow they were already practicing! Created a full supportive prop community where it didn’t exist at all before, and we started to build together as performers. How would you describe your current involvement in the circus community? I have moved on to a new city and province, and am always building new groups and community gatherings, and am planning many travels as my schedule fills up for 2018! I am mostly a poi spinner, and been practicing for 8 years, but I juggle, contact, I spin staff, contact/ doubles and dragon staff. I also practice fire eating/breathing and vapor tricks, and always love to teach these and share art! What’s next for Architek’t, any upcoming challenges? Currently focusing on choreography, and multi props through a show, as well as blending prop use to practice multi props at once. I am always focused on expanding, and meeting new people and partaking in new adventures so my goals always reach towards new places in the world to explore.